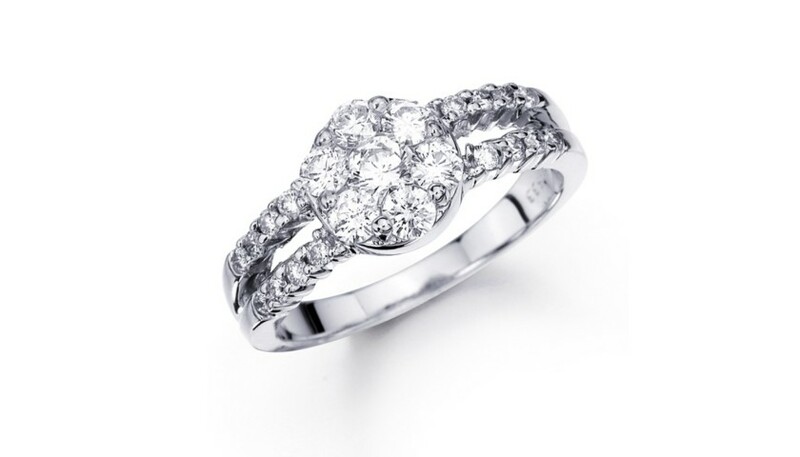 This attractive diamond ring has 1.27 carats of brilliant white high-quality diamonds set in 14kt white gold. Set using the patented touch setting technique, the pear shape diamond cluster has an uninterrupted flow between diamonds and appears as one larger single diamond. The beautiful crossover design of the diamonds on the sides give the ring a very modern twist and makes it sparkle from every angle. This ring would be beautiful as a right-hand cocktail ring or even an engagement ring!